Sam è un trentenne squattrinato alla perenne ricerca del lavoro perfetto. Timido, solitario, sognatore, ironico, Sam vive in un piccolo appartamento che divide con Yoko. Tirchio e metodico fino all’eccesso, si innervosisce per ogni piccolo cambio di programma che disturbi i suoi piani. Il suo motto è “Tutto e subito”. Mai soddisfatto, è ossessionato dal suo naso che ritiene troppo grosso per la sua faccia. 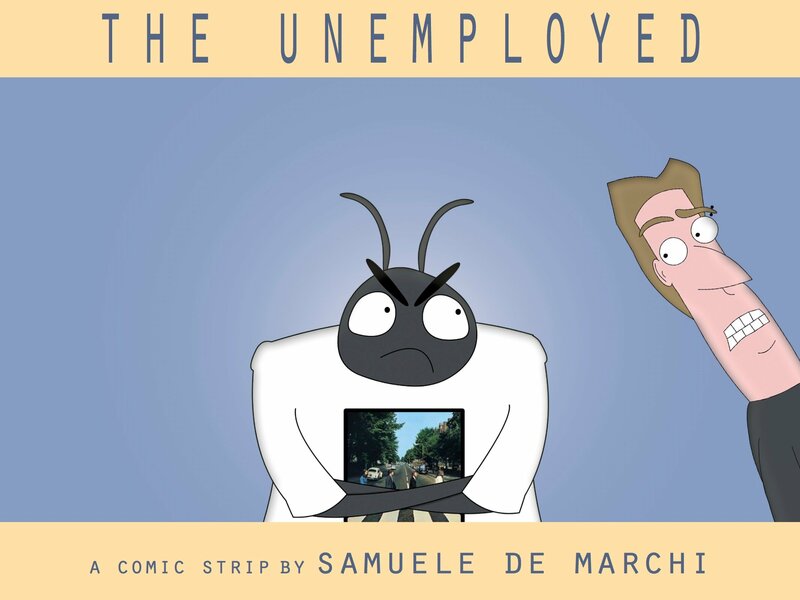 Sam is a thirty years old down-and-out guy, always in search of the perfect job. Shy, lonely, dreamy, ironic Sam lives in a small flat that he shares with Yoko. Being stingy and methodical, he gets nervous for any little change that interferes with his plans. His slogan is “All at once”. He is never satisfied; he is haunted by his nose that is too big for his face.